This article, by one of the top national leaders in the mediation profession, discusses the importance of having reliable facts to expedite the settlement of conflicts where the value of a business is a key factor. When trying to resolve conflict, it is said you can’t make good decisions unless you have good facts. This is true whether in litigation, negotiation, arbitration, or mediation. In each of these processes, valuation experts, accountants, and other financial professionals are relied upon. In adversarial approaches, such as arbitration and litigation, each side hires experts to advance their case against the other. 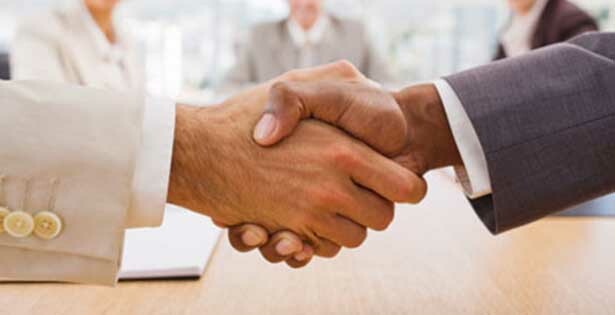 However, mediation, where a single neutral expert is selected, is increasingly seen as the preferred method in order to avoid costly battles and maintain ongoing relationships, such as in family business settings or other relationship disputes. To effectively participate in mediation as a neutral expert or to make referral recommendations to mediation, a financial professional needs to understand not only the differences between mediation and adversarial processes, but also understand and appreciate the true power of a well-managed mediation process. Seems like a bit of an oxymoron doesn’t it? How can any process that does not issue binding rulings have any power? How can anything that does not tell disputants what the court outcome might be have any power? What good is it when the mediator doesn’t tell them what is best for them? The answer is self-determination. Professional mediators leave it to the experts to determine the facts and the disputants to determine the solutions. When the mediator refrains from evaluating the facts and does not attempt to bully or coerce people towards a particular settlement he or she thinks is fair, the true power of mediation emerges because the participants find the solution and share ownership of the result. This approach to mediation produces what we call in the trade “self empowerment,” and it is the key to understanding the beneficial power of mediation. The business valuator or financial expert is essential to the mediation process if the disputants are to “own” the final result. Experienced mediators have a difficult task and sometimes must be forceful, dominant, or controlling of the mediation process in all its aspects, while remaining soft on the outcome. That is, a client-centered mediator is singularly focused on getting the participants, not to a solution the mediator wants (or believes will likely be the court result), but rather to a solution that is owned by the participants in the dispute. This distinction between clients being told what to do as opposed to finding and accepting their own solution is critical to an understanding of the power of mediation. There is a great difference between a mediator being helpful and being overbearingly adjudicative. Creative settlements that often go beyond the narrow restrictions of what a court would or could likely do. When two sides exchange proposals in an effort to reach agreement, it is called “positional bargaining.” Each side lays out their positional demands and, in theory, after a series of back-and-forth exchanges, with each side compromising just enough, a settlement is achieved. This occasionally works in some negotiations, but such an approach more often fails. It fails because in high-conflict situations, the middle is impossible to find when each side has mistrust, believing the other started too far away from the middle, or believing the other side is not disclosing their own final “middle” ground. A client-centered professional mediator will discourage positional bargaining and find a way to focus on underlying needs and interests. This allows for more creative use of the financial expert who will be called upon to solve complex problems that meet the mutual interests of each of the conflicting parties. Such an approach also avoids determining who is right and who is wrong and therefore unleashes the creative process by going beyond only the two choices of winning or losing the case. Having the parties meet face to face and in the same room with the mediator and neutral expert results in better understanding and more useful information exchange, both of which are essential to resolution. Separate-room mediations are like trying to learn how to dance by texting your partner on the other side of the wall the next dance step and then becoming frustrated when he or she fails to follow. When a skilled mediator is managing the process in the same room, the conflict can be confined, and the toxic nature of many disputes can be reduced. This seems counter intuitive, but the conflict can be better contained when the mediator helps the parties learn a more constructive and respectful method of communicating. Separate-room exchanges of positional demands with the carrier of that information going back and forth, tends to create only more positional bargaining. At the very least, understanding and acceptance of the validity of the other side’s point of view, which are essential parts of resolution, are easier to achieve when looking at and talking to each other. With face-to-face mediation sessions managed by a skilled mediator, the torn relationships can more likely be repaired, because in this environment the problem, not the person, is attacked. In a client-centered mediation process, experts are given freedom to find creative solutions. We all know that in the world of valuation, opinions are never completely scientifically certain. The experienced financial professionals can truly excel at their craft when given the opportunity to creatively help find solutions that will meet the needs and interests of both sides. In my own practice, I have found that the valuation expert, when hired by both (or all) parties in dispute as a neutral, can help the disputants come to accept the validity (and reality) of the ending numbers. Moreover, when things get stuck, I can always count on the valuation expert to helpfully suggest a creative solution. Experienced financial experts know that life is more complex than assuming that one is right and the other is wrong. In mediation, it is possible to tap into the creative knowledge of the financial expert in many different ways. In a divorce mediation where the value of the business is fluid due to a fragile economy, the valuation expert might provide help in drafting an adjustment formula if the business is sold within an agreed-upon period of time. In a farm-finance mediation, the decision by the bank to either modify the mortgages and keep the operation alive or request a liquidation might be contingent on the financial expert monitoring the restructuring plan and having all parties return to mediation to review whether certain objectives are being met. Whatever the outcome, mediated settlements present the opportunity to be more creative by going beyond right/wrong conclusions. Moreover, when the search for a solution boils down to each side claiming they know better than what some judge will likely do if the matter gets to court, I say to myself, “Why don’t they just hire a fortune teller to predict what the judge will do?” because, of course, nobody can be sure what will happen when the problem is defined as which side is better at predicting judicial outcomes. For an excellent overview of divorce mediation, see: “Is Divorce Mediation Right for Your Client” by James Stoval from the Sept. 17th issue of the QuickRead.